Between 1580, when Spanish king Phillip II of Castille seized Portugal, until the Portuguese revolution in 1640, the trade had died out. But it’s this wobbly start, and hundreds of years’ worth of practice that makes the wine as good as it is today. John, Duke of Braganza, took the Portuguese throne in 1640 and played a key role in the subsequent Portuguese independence. John would order ships heading to Brazil to call in at Madeira and take wine from there across to his settlements. It wasn’t long before the British began to do the same. But because it was unfortified, the wine had a habit of going bad during the voyage. A small amount of distilled alcohol made from cane sugar was used to help preserve and stabilise it, helping it last that bit longer while at sea. But the voyage would subject the alcohol to extreme heat and movement down in the holds of the ships. It was only when one batch was accidentally returned to Madeira after one particular journey that the producers realised customers actually preferred the more mature wine. It tasted better and it lasted longer. Wine producers tried to replicate the heat, movement and time the wine would have experienced on the boats and started storing the wines on trestles at the winery or in special rooms known as estufas, where the heat of the island sun would age the wine. And that’s how the industry really took off. The 18th Century was the golden age for Madeira and at one point there were more than 70 British shipping houses on the island. The wine’s popularity grew, particularly in the American colonies, who were responsible for consuming as much as 95% of all wine produced on the island each year. Madeira wine became popular in Brazil in the New World, Great Britain, Russia and Northern Africa as well. Despite such positive beginnings the popularity of Madeira wine dropped due to some unfortunate events throughout the 19th century. In 1851 powdery mildew was discovered in the vines and this severely reduced production over the next three years. The phylloxera epidemic that had been plaguing France and other European wine regions reached the island in 1872 and by the end of the 19th Century, most of Madeira’s vineyards had been sadly uprooted. 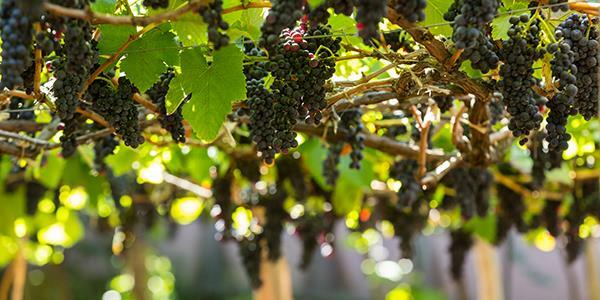 Those that weren’t converted to sugar cane plots were replaced by American vines or hybrid grape varieties rather than the vitis vinifera varieties that had been previously grown. By the turn of the 20th Century, sales started to slowly return to normal, until the American Prohibition throughout the 1920s, which closed off one of Madeira’s biggest markets. By the time things were back on track in the ‘30s shipping methods had improved and ships no longer needed to stop off in Madeira. Now, just one of the great British Madeira shippers remains - Blandy’s. 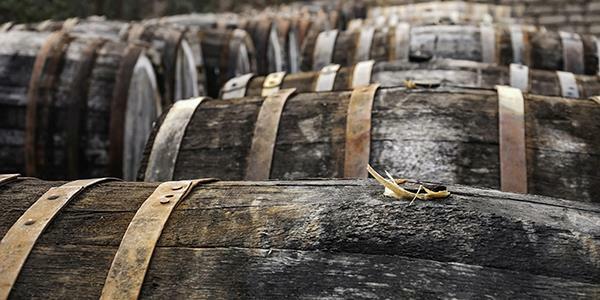 And it has survived, producing fine Madeira wine since 1811. It is the world’s leading producer and the company aims to re-establish Madeira wine as one of the world’s greatest wines. 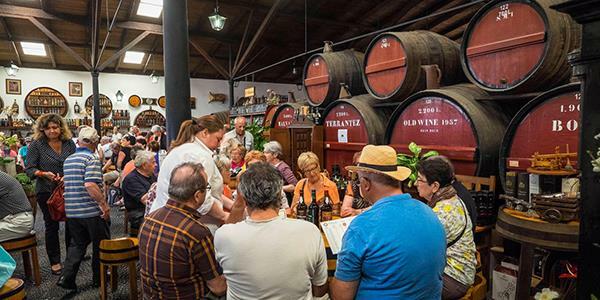 While you’re on the island you can actually pay a visit to Blandy’s and enjoy a wine tour that will introduce you to the process behind producing the alcohol that the island was so famous for, finishing up with a tasting session. Visit the bistro and wine bar while there, and nip in to the wine shop for a souvenir. You can find the wine lodge in Madeira’s capital Funchal, on the Arriaga Avenue, close to the municipal gardens. It’s open Monday – Friday 10.00 – 18.30 and Saturday 10.00 – 13.00. 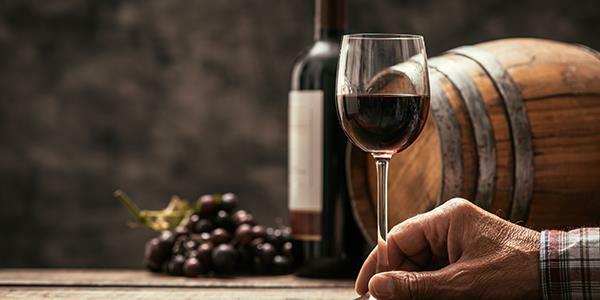 Blandy’s hosts an annual wine festival at the beginning of September so make sure you check out their website for more information and details of the different events. Find out how to stay at the stunning Encosta Cabo Girão, just a short distance from Funchal and discover Madeira wine for yourself. Click on the button below.